Photo by Caronchi Photography. Image courtesy of the Shell Factory website. 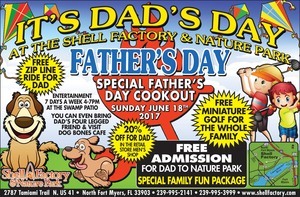 The Shell Factory, Nature Park & Fun Park is hosting an exciting and fun Fathers Day event this Sunday June 18th, 2017! 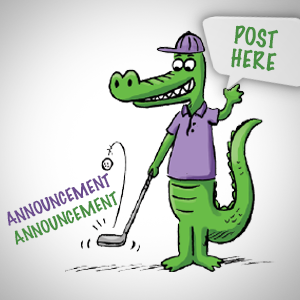 Free miniature golf for the whole family! Free zip-line ride for dad! Free admission for dad to the nature park! The Shell Factory, Nature Park & Fun Park is celebrating 78 Years as Southwest Florida’s #1 family entertainment destination. The Shell Factory provides locals a great place to shop, eat, or just gather with friends. Their many attractions both indoors and outdoors will provide you and your family hours of fun served up with local hospitality. Free entry (except to the Nature Park) & free parking makes it a great day out for the whole family. To learn more about other fun things happening at The Shell Factory, you can visit their website.